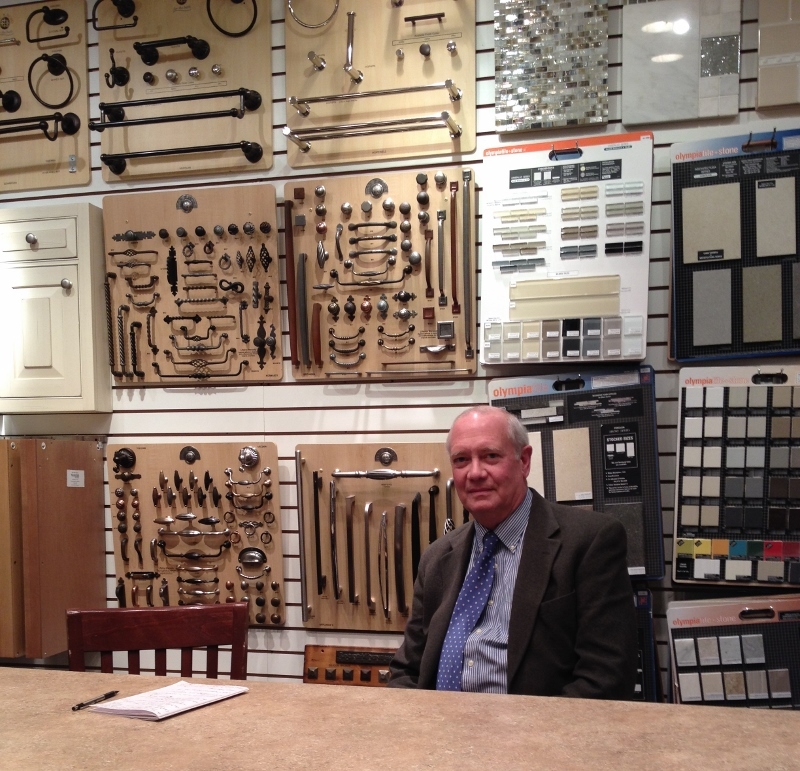 John Mozena in the showroom at Mutschler Kitchens. I first heard of Mutschler Kitchens during our house hunt. The sales blurb about one particular home included a “beautiful Mutschler kitchen!” or some such. The photos showed a dark brown kitchen that was dated and very much not to my liking. 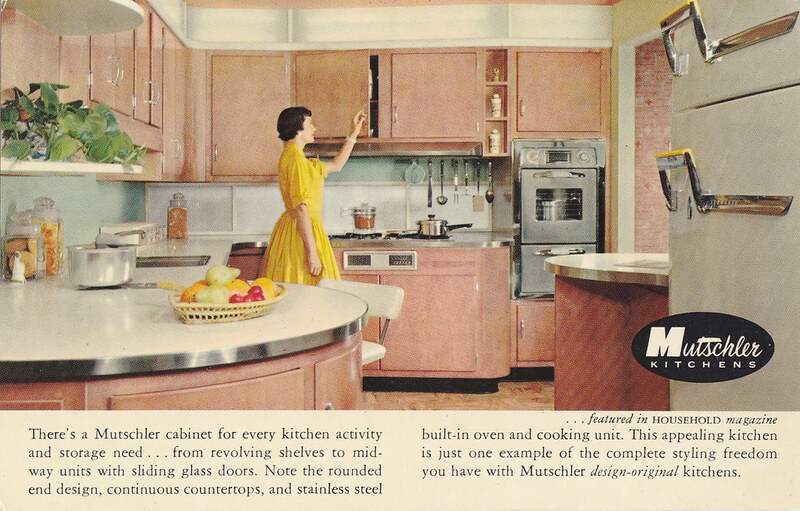 I didn’t know what a Mutschler Kitchen was, and I wasn’t sure I ever wanted to see one again. After we purchased our home and started putting feelers out for kitchen builders, the name Mutschler kept coming up. Even though the word, “expensive” was usually spoken after “they’re the best,” the praises were hard to ignore and after perusing their website, (online presence here is SO different from San Francisco, where even the tiniest company has a website. Some businesses don’t exist anywhere online here – inconceivable) I decided to give them a call and was put through to John Mozena. I had a pretty good idea about what happens during a remodel and a ballpark idea about financial commitment, but I knew nothing about how to get to that point – the process, the planning, the length of a project from start to finish, etc. John gave me an overview of the process and answered all my questions. I also learned that most specialty kitchen designers/construction companies only use certain cabinet brands. Mutschler happens to deal with the high-end Woodmode and Brookhaven (custom and semi-custom), made-in-the-USA cabinet lines. 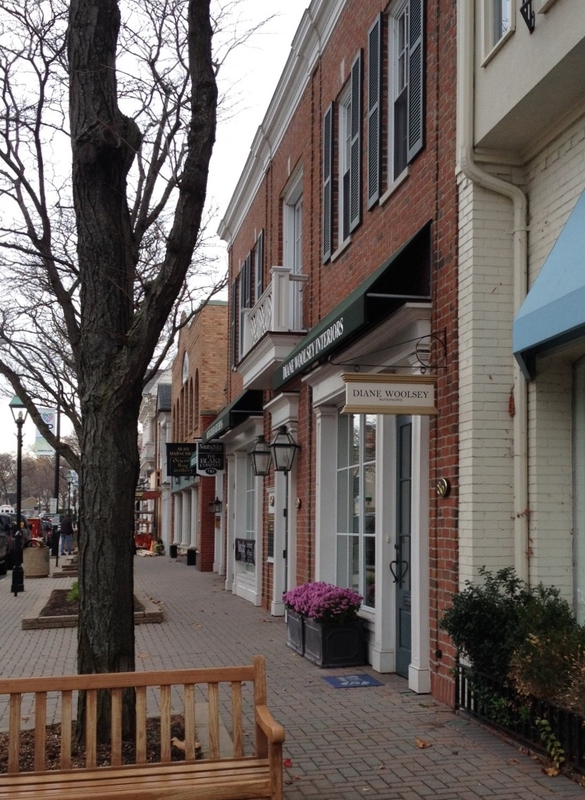 At the end of the call, John said I was welcome to stop by their showroom on the Hill (main shopping district in Grosse Pointe Farms) to look at cabinets and grab a few brochures (which I did do shortly afterwards). During the quote process, I stopped by the office again to view the proposed designs (plans can’t leave the building without a signed contract). At the meeting, I was shown the scheduling board. It was a calendar of sorts, with each project assigned to a different color (I think) and labeled with the client’s last name. The entire project was mapped out from beginning to end, showing everything from inspections to deliveries to which vendor would be doing what on which days. Swoon. Mutchler Kitchen and The Blake Company offices (just beyond the purple flowers) on the Hill. Ultimately, we chose Mutschler because of their reputation, experience, their promise to get the job done for the dollar amount agreed upon and yes, because of that OCD to-the-day scheduling board. When I ask John what sets the company apart from others, he echos the same – they have good designers, they can get jobs done faster (than other builders) without sacrificing quality, their level of detail and their honesty (in regards to pricing). John’s parents started Mutschler Kitchens in 1954. Back then, Mutschler was a brand of cabinets made in Indiana. At that time, he says, cabinets were usually done by carpenters. The kitchen wall served as the back of the cabinet, you put some boards up and you’re done. 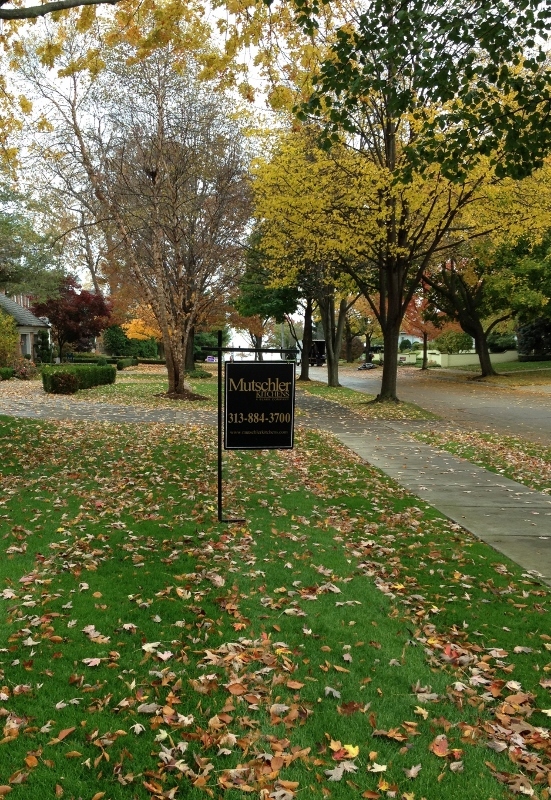 Grosse Pointe in the ’50s was the perfect place to introduce a high-end line of custom cabinets, and the company thrived. In 1969, John started working there in the summers. It was the path of least resistance, he says, and adds that he’s never had a job interview (imagine!). He did a little of this and a little of that – tear outs, odd jobs, office work, sales – and eventually learned the art of kitchen/bath design through a woman at the office who became a mentor to him. John sold the business to The Blake Company (who kept the Mutschler name for obvious reasons) in 2001 and continued working there as a sales rep and designer. Today, the company does roughly 50-60 remodels per year (mostly kitchens and bathrooms, but also house additions and corporate projects), and works on five to six projects at any given time. I asked him about strange requests or unexpected construction stories and he told me about a client who requested a whelping box in the kitchen and a guy who stuck his bowling ball in the oven to warm it up (um, okay) and accidentally set it to broil instead of bake. He said most construction surprises are the result of poor construction or shoddy work (cutting corners and what not). When I got to the question of trends, John says that Grosse Pointe is kind of in a time warp. Meaning, it has remained a very traditional, classic community (in terms of design) and hasn’t ebbed and flowed with design trends. People here prefer white kitchens….wait, really?, I say. What about all that dark stuff I saw when looking at houses? 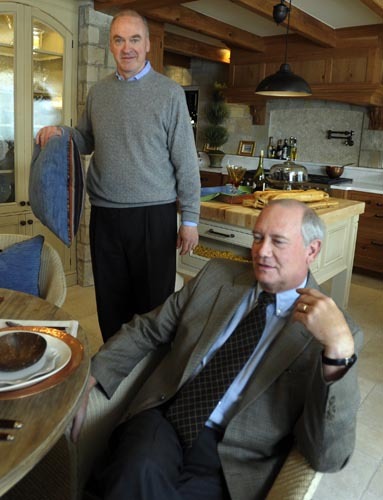 Well,according to John, their clients do prefer the white kitchen (guilty as charged). 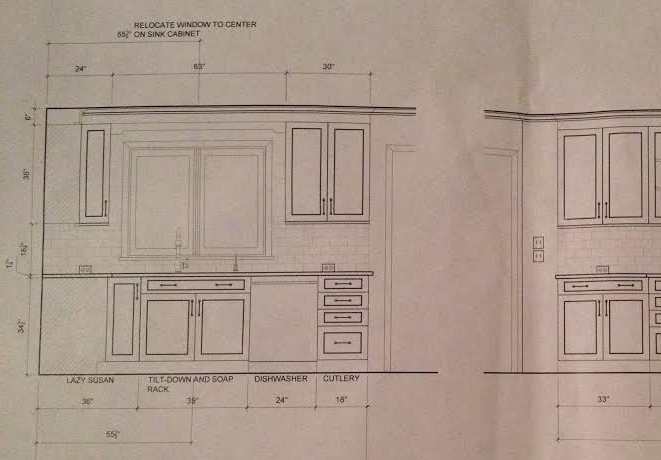 What about opening kitchens up to other rooms, like what we’re doing? Some people are starting to give up formal dining rooms in order to have one big room, but he wouldn’t go so far as to say it’s a trend. We’re halfway into the project and so far, working with Mutschler Kitchens has been worth every penny. Not just because of the job they’re doing (at this point, I honestly wouldn’t know. Thank goodness for husbands who do), but also (and mostly?) because I don’t have to stress out about any of the technical stuff. Which means I have more time to ponder other matters such as what color to paint the family room (oh my gosh you guys) or the first meal I’m going to cook in my new kitchen. Things are really starting to take shape and we’re super looking forward to the home stretch! This entry was posted in Kitchen Remodel and tagged Grosse Pointe, Interview, Kitchen Designer, Kitchen Makeover, Kitchen Remodel, Mutschler, Mutschler Kitchen, WoodMode. Bookmark the permalink.